EHTV: Live from the Field | Lauren Wheeler, Can Enviro Rock? In April NiCHE started a new project to share with the world what Canadian Environmental Historians do. A number of Flip cameras were purchased, branded with NiCHE skins, and distributed to willing historians to take with them as they research this summer. Some of the videos that will be posted in the coming months include learning how to butcher lambs, a glimpse into CHESS St. Andrews, the many faces of Niagara Falls, fishing in Northern Ontario, adventures in Asbestos QC, and pollution in Alberta. 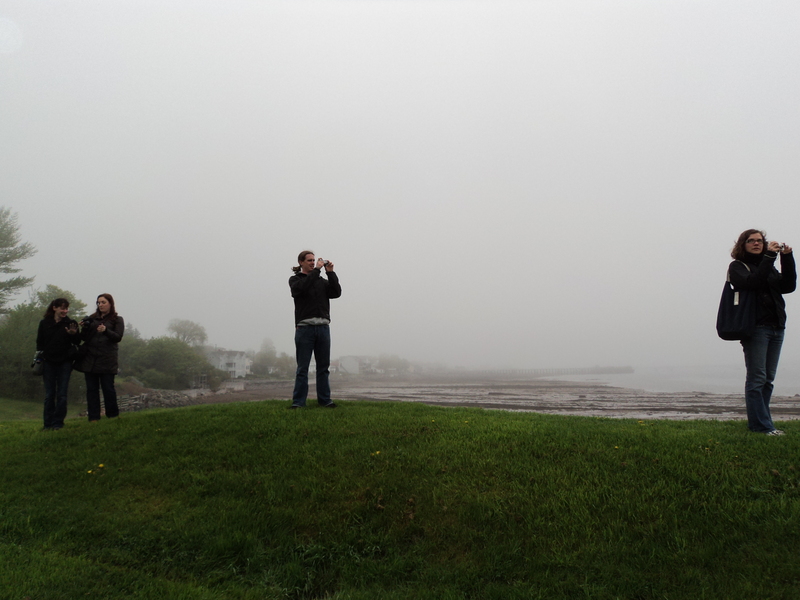 To kick things off Sean Kheraj went to work at the EH+ in Hamilton/Burlington to find out what environmental historians and historical geographers think about the future of the field. The episode went up last week and is available here. EHTV is also a podcast available through iTunes so you can take the episodes with you to watch on the go. Andrew Watson from York University has also done a mini-episode from the drive back to Toronto from CHESS in New Brunswick that is available here. Let me know what you think, or what topics you would like to see the group tackle. Historians with cameras descend on St. Andrews-by-the-Sea. This entry was posted in Canada, Environment, NiCHE, Public History, Shameless Promotion and tagged Canada, Documentary, EHTV, Environment, Graduate Students, NiCHE, public history, video podcast. Bookmark the permalink.